The unit we received is the gold / champagne colored model. 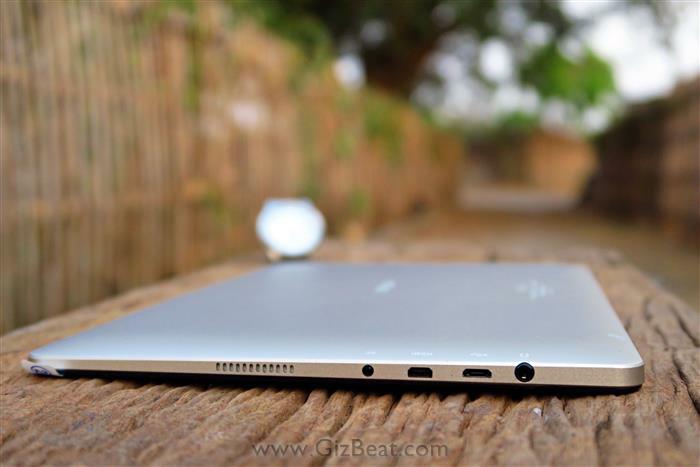 Both the tablet and the docking keyboard carry modern tapered style going from thick at the back to thin at the front. The rear and side shell are made from metal, and this adds to the classy style. The downside here is that good-looking aluminum is also very soft, so it will scuff and scratch relatively easily. Keeping it in a case when toting it around is a good way to keep it looking new. There is a single speaker located at the bottom-right (if oriented portrait). Unfortunately no stereo sound. 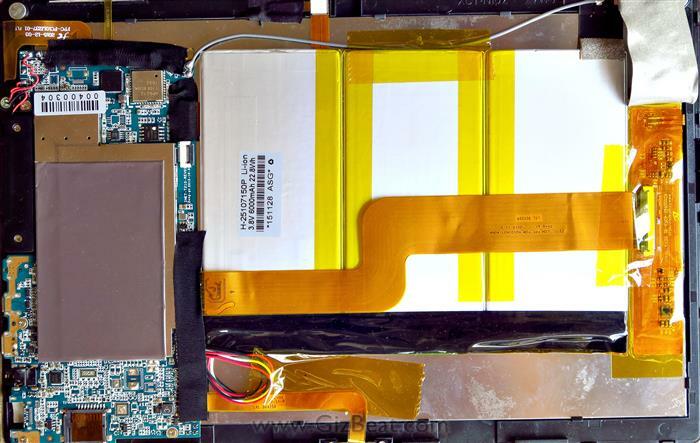 Physically it’s built very well; applying moderate bending pressure, the Onda Obook 10 didn’t give at all and remained rigid. The docking keyboard looks very good, and the magnets pull the tablet flush with where it needs to be to connect. Removing and connecting the tablet to the docking keyboard is a frustration free experience. Unfortunately, when the tablet is attached, there is a bright blue “On” light located directly under where the tablet sits. This was immediately annoying and in the dark will be doubly so. This is easily fixed by placing a piece of electric tape over the light, but now you have a piece of electric tape on your keyboard. Thanks to the Intel x5 Cherry Trail SoC, opening apps, menus, and switching between browser tabs is smooth and quick. The Obook 10 also carries 4GB RAM which allows you to have quite a few apps open and ready to go in memory. 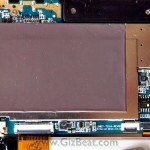 The touch display is responsive and without issue. The display on the Obook 10 is IPS 720P. This offers generally better battery life than 1080P, and the display looks good, but is a big difference coming from the 1080P Chuwi Hi10 in terms of retina smoothness. For media consumption this isn’t a big deal, but for working and looking at a tablet over long periods of time, the more retina 1080P display will be appreciated. Storage on the Obook 10 we received is 64GB. This is good amount and should suffice for most people, especially with the ability to expand storage via TF SD. The O10 offers HDMI 4K out, TF SD slot, headphone jack, 1 micro-USB, and a dedicated AC charging port. If you are attached to the docking keyboard you will have an additional full-sized USB port available. It’s a skimpy setup and we would have liked to have seen at least one more USB port on the tablet itself. In addition, the dedicated charging port is a sad decision by Onda. It means that on extended outings or trips, you’ll need to bring that one additional cable with you always. 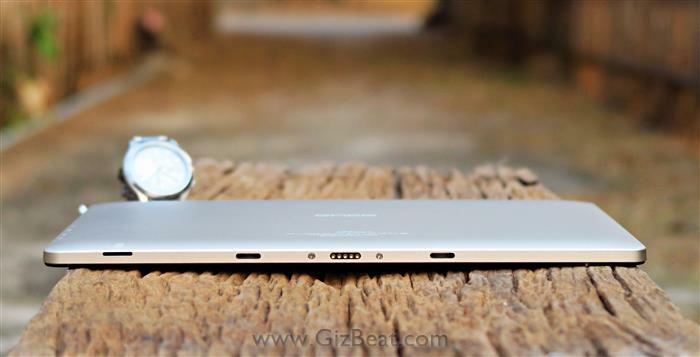 Such a simple, easy design implementation to make the charging port micro-USB, yet it’s not to be on the Onda Obook 10. 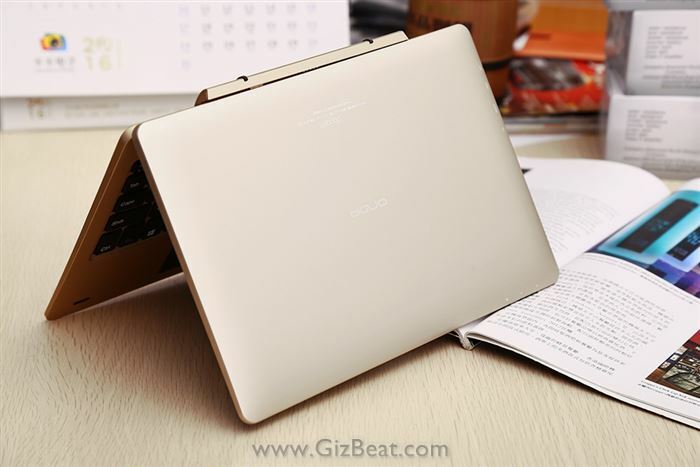 Saving the worst for last, we come to the crux of the Onda Obook 10 buying decision– WiFi, which is horrendous. Sitting only 3 meters from the router, connectivity is virtually useless: slow or at a standstill when it’s connected, and, unstable, losing the connection every few minutes. Step six meters away and you’re dead in the water. This can be remedied by adding a cheap $10 USB WiFi dongle, but then you’re using the only USB port on the tablet. If connected to the docking keyboard, you still have the full-sized port available, but that will likely be taken up by your mouse. We rarely connect anything else to a computer, especially with the dedicated TF SD slot, so this isn’t a huge deal; likely this particular Onda Obook 10 will get plenty of happy times with it’s future owner. The problem here is that the issue is there at all. We’d also like to note that this is not an isolated problem with just the Obook 10 we recieved . It’s an issue reported by quite a few users with numerous attempted solutions, which often bricked the Obook 10 as owners tried reinstalls of Windows, drivers, or firmware. 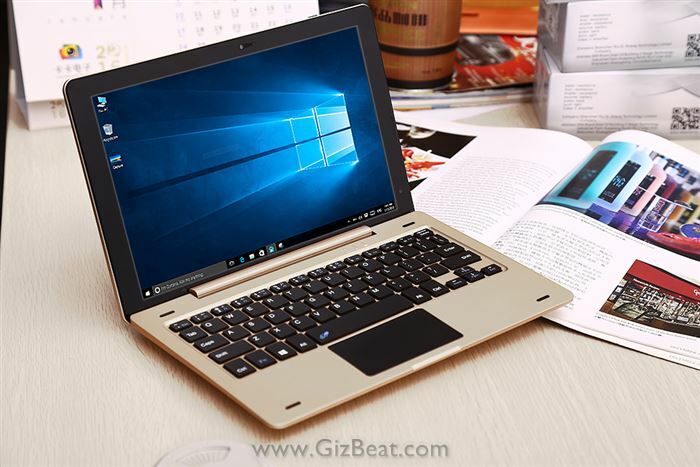 As of this review there have been several revisions of the Obook 10. 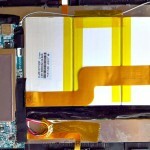 It can be found in the 9th and 10th digit of the SN on the back of the tablet. The unit we received for testing is V1. There has also since been a V3 and V5. We should note that according to our research, the V3 has presented the same WiFi issues, and the V5 is an unknown. Even if we find that the V5 has solved the problem, we will never know for sure what revision we are receiving until it arrives to us. Weak USB port selection, no micro-USB charging, useless internal WiFi, and mono speaker make the Obook 10 a big thumbs down. Have another revision without the WiFi problem or have otherwise fixed it? Let us know in the comments. There are much better solutions available on the market, and at this point we’ll take the opportunity to suggest the very good Chuwi Hi10. Available for a similar price, but with better specs all around. 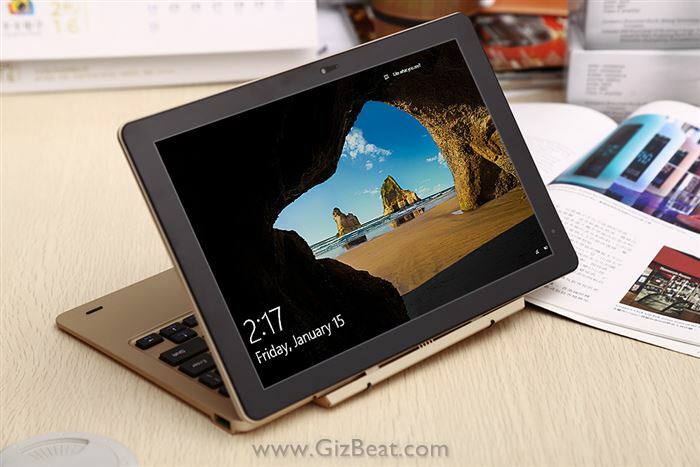 The Chuwi Hi10 has a very good looking 1080P display, great docking keyboard, very good battery life, great WiFi range, and is smooth and responsive. If you’re looking for a solid work tablet, the Chuwi Hi10 comes recommended. Do you know a good full HD (1920 x 1080 or higher) laptop / tablet + hard keyboard, that supports stylus and it’s accurate to take notes?